**May 13, 2013** I heard that a barber half turned up during a landscaping project at an acquaintance's house. 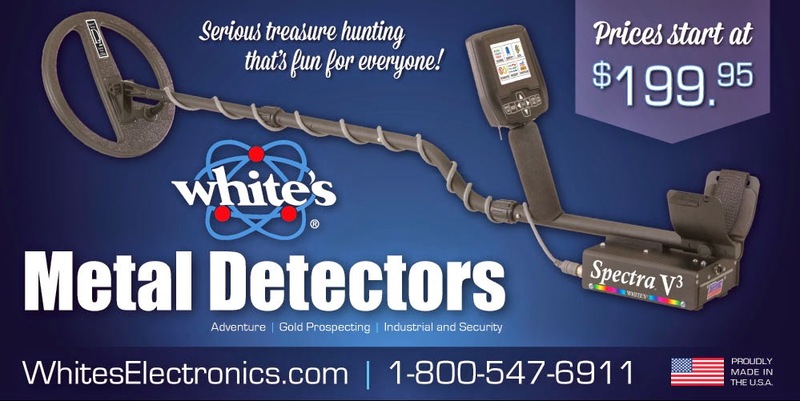 Following up on that lead, I got in contact with the homeowner and asked if I could detect his property. He said sure, but he mentioned that he'd already let somebody hunt his property when he did a little landscaping project last year. I used to let that bother me, but I didn't let it discourage me this time. When I got there and started swinging, I could tell that the workers really turned up the soil. They must've taken two or three inches off the topsoil - which revealed fresh ground. 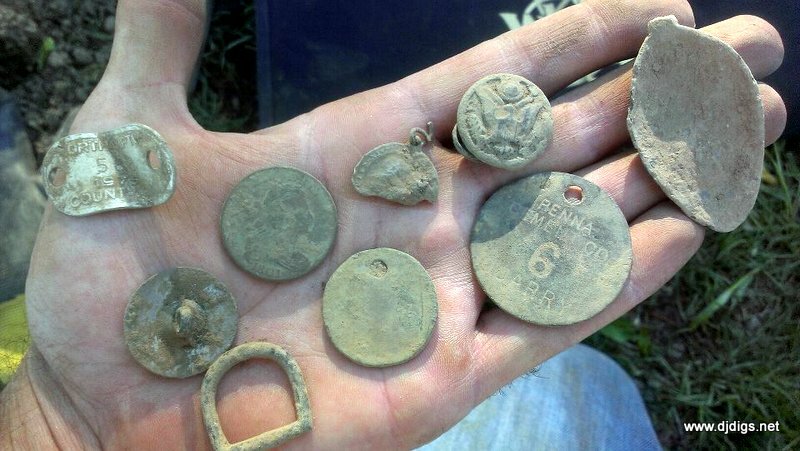 There were literally surface finds including some buttons, glass bottles, and a quarry tag. 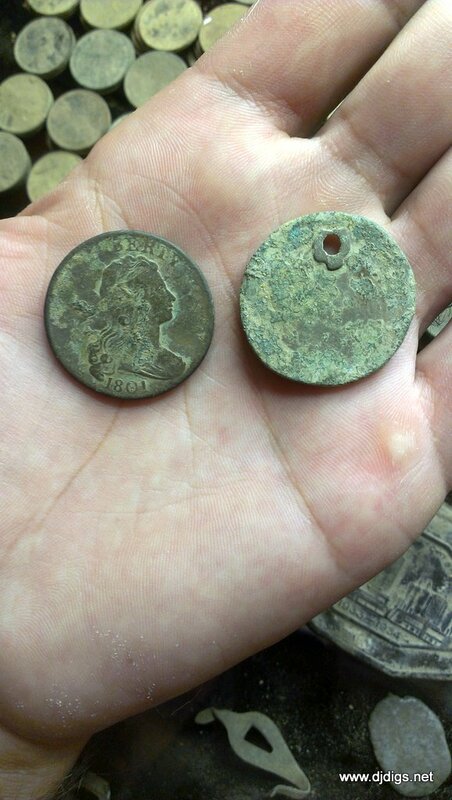 I got a pretty good signal about 4 1/2 - 5" deep, and came up with a toasted King George copper. I was really glad to pull this piece of history out of the ground, but at the same time, I was wishing I could find one in good condition. 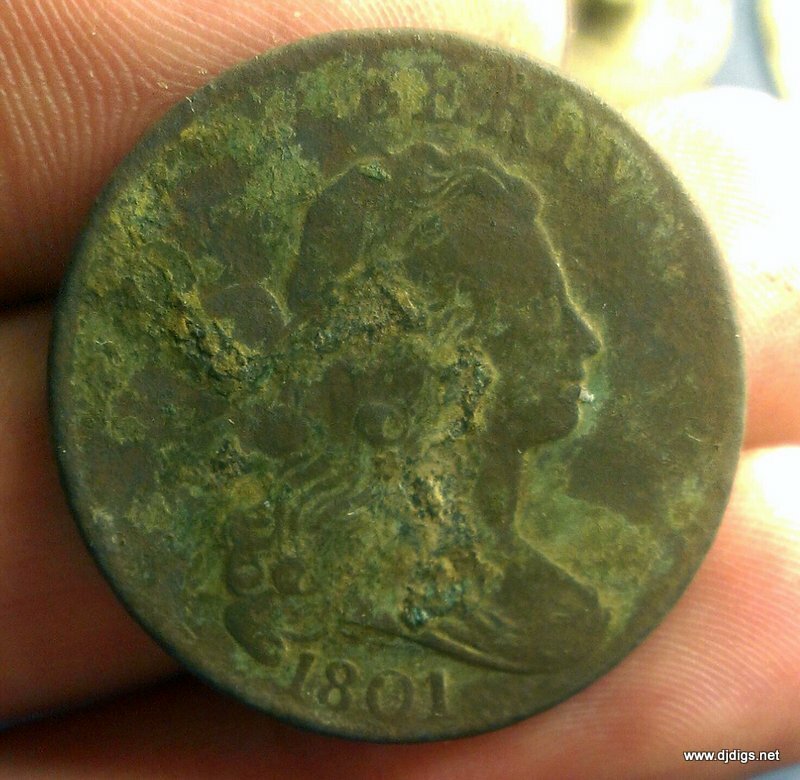 This gorgeous 1801 draped bust large cent. I couldn't believe the condition! She sure is Dave! Thanks! Beautiful coin! And I'm able to leave this comment via Facebook for iPad app, BTW.